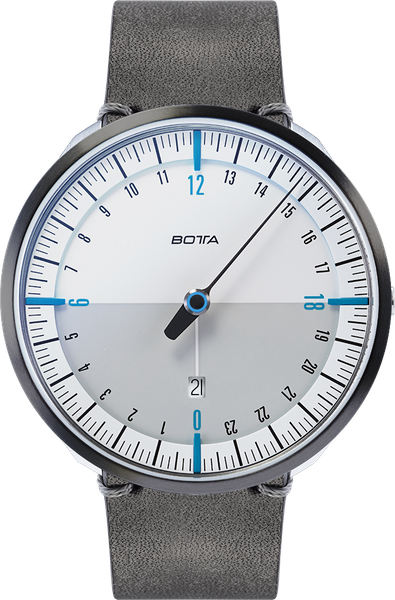 One striking feature of this version is its light dial. The eye-catching blue colour of the raised appliqués at the four quadrants and the ring of the same colour between dial and inner bezel provide a marked contrast to the underlying colour of the dial. This same colour also appears a third time on the delicate ring at the centre of the hand. Thanks to the dial’s three-dimensional geometry, the watch looks slightly different from every angle – though always innovative and fascinating. 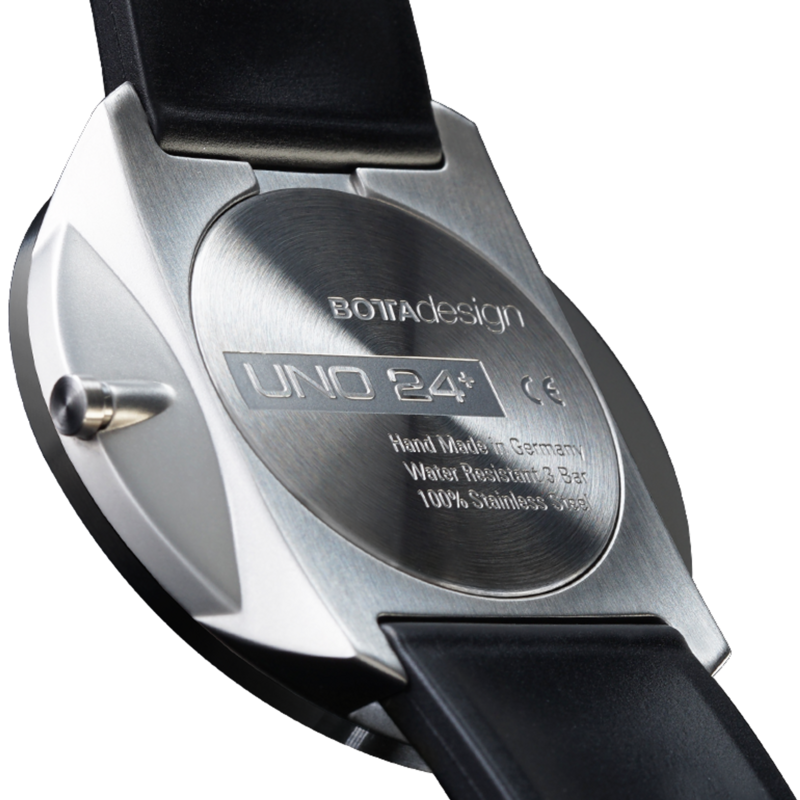 The new UNO 24+ Neo is available with either a white or a dark dial. 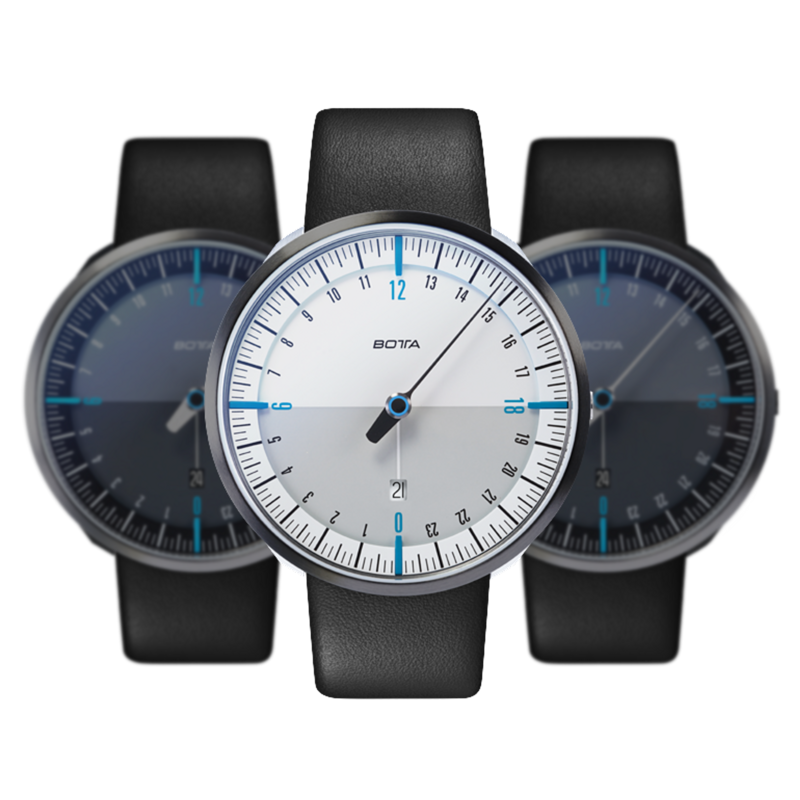 The case is two-tone, which once again underlines the innovative design of the watch. Botta-Design has a reputation for painstakingly designing its products right down to the tiniest detail. 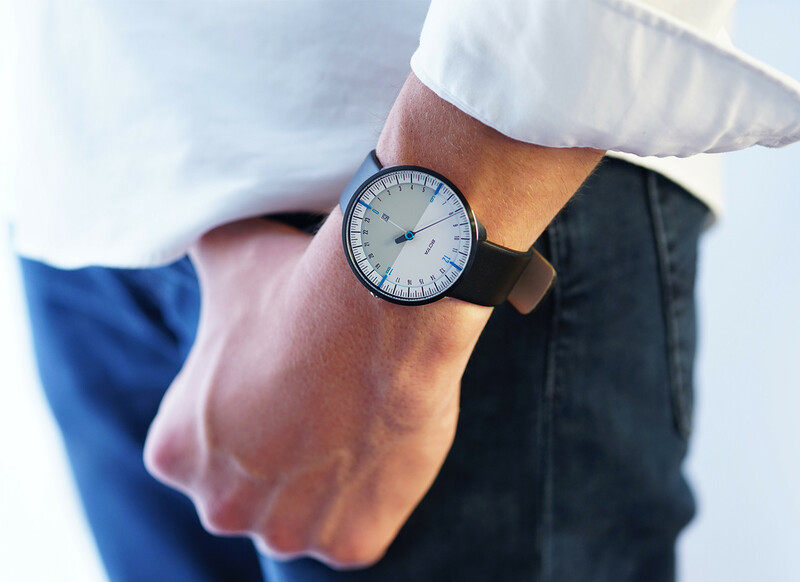 This is particularly obvious in the white UNO 24+ Neo: no matter whether you look at the watch from the front, from the side or from the back, it always stands out for its architectural clarity and functional aesthetics. Take a look for yourself – we think you’ll agree. The UNO24 PLUS White-Blue Quartz will be shipped . Until then, the model can be pre-ordered at a discount of € -448. Shipment will be on a first come, first served basis.